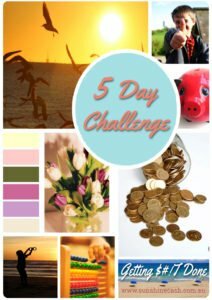 Getting $#!T Done – A 5 Day Challenge. One more thing before you sign up.. Please be sure to whitelist my emails so they are not sent to your Spam, Junk or Promotions folder. This is a great article of how to do this for most email programmes.